Here is an interview with Prof Rob J Hyndman who has created many time series forecasting methods and authored books as well as R packages on the same. Ajay -Describe your journey from being a student of science to a Professor. What were some key turning points along that journey? Rob- I started a science honours degree at the University of Melbourne in 1985. By the end of 1985 I found myself simultaneously working as a statistical consultant (having completed all of one year of statistics courses!). For the next three years I studied mathematics, statistics and computer science at university, and tried to learn whatever I needed to in order to help my growing group of clients. Often we would cover things in classes that I’d already taught myself through my consulting work. That really set the trend for the rest of my career. I’ve always been an academic on the one hand, and a statistical consultant on the other. The consulting work has led me to learn a lot of things that I would not otherwise have come across, and has also encouraged me to focus on research problems that are of direct relevance to the clients I work with. I never set out to be an academic. In fact, I thought that I would get a job in the business world as soon as I finished my degree. But once I completed the degree, I was offered a position as a statistical consultant within the University of Melbourne, helping researchers in various disciplines and doing some commercial work. After a year, I was getting bored doing only consulting, and I thought it would be interesting to do a PhD. I was lucky enough to be offered a generous scholarship which meant I was paid more to study than to continue working. Again, I thought that I would probably go and get a job in the business world after I finished my PhD. But I finished it early and my scholarship was going to be cut off once I submitted my thesis. So instead, I offered to teach classes for free at the university and delayed submitting my thesis until the scholarship period ran out. That turned out to be a smart move because the university saw that I was a good teacher, and offered me a lecturing position starting immediately I submitted my thesis. So I sort of fell into an academic career. I’ve kept up the consulting work part-time because it is interesting, and it gives me a little extra money. But I’ve also stayed an academic because I love the freedom to be able to work on anything that takes my fancy. Ajay- Describe your upcoming book on Forecasting. Rob- My first textbook on forecasting (with Makridakis and Wheelwright) was written a few years after I finished my PhD. It has been very popular, but it costs a lot of money (about $140 on Amazon). I estimate that I get about $1 for every book sold. The rest goes to the publisher (Wiley) and all they do is print, market and distribute it. I even typeset the whole thing myself and they print directly from the files I provided. It is now about 15 years since the book was written and it badly needs updating. I had a choice of writing a new edition with Wiley or doing something completely new. I decided to do a new one, largely because I didn’t want a publisher to make a lot of money out of students using my hard work. It seems to me that students try to avoid buying textbooks and will search around looking for suitable online material instead. Often the online material is of very low quality and contains many errors. As I wasn’t making much money on my textbook, and the facilities now exist to make online publishing very easy, I decided to try a publishing experiment. So my new textbook will be online and completely free. So far it is about 2/3 completed and is available at http://otexts.com/fpp/. I am hoping that my co-author (George Athanasopoulos) and I will finish it off before the end of 2012. The book is intended to provide a comprehensive introduction to forecasting methods. We don’t attempt to discuss the theory much, but provide enough information for people to use the methods in practice. It is tied to the forecast package in R, and we provide code to show how to use the various forecasting methods. The idea of online textbooks makes a lot of sense. They are continuously updated so if we find a mistake we fix it immediately. Also, we can add new sections, or update parts of the book, as required rather than waiting for a new edition to come out. We can also add richer content including video, dynamic graphics, etc. For readers that want a print edition, we will be aiming to produce a print version of the book every year (available via Amazon). I like the idea so much I’m trying to set up a new publishing platform (otexts.com) to enable other authors to do the same sort of thing. It is taking longer than I would like to make that happen, but probably next year we should have something ready for other authors to use. Rob- Well free is definitely cheaper, and there are a few businesses trying to make free online textbooks a reality. Apart from my own efforts, http://www.flatworldknowledge.com/ is producing a lot of free textbooks. And textbookrevolution.org is another great resource. 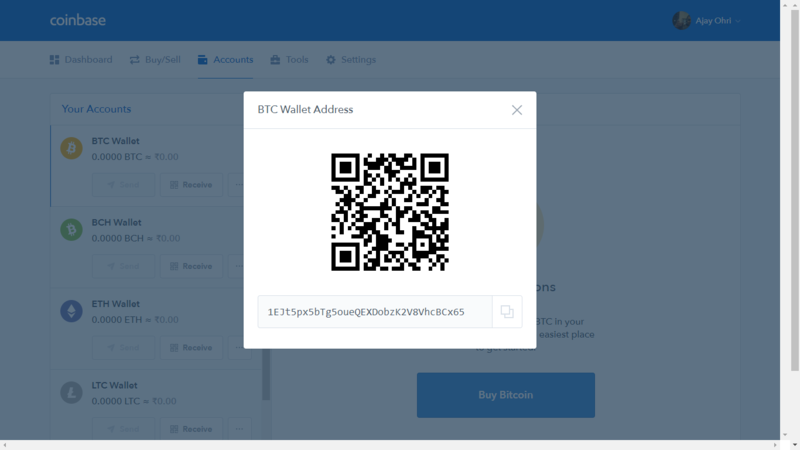 With otexts.com, we will compensate authors in two ways. First, the print versions of a book will be sold (although at a vastly cheaper rate than other commercial publishers). The royalties on print sales will be split 50/50 with the authors. Second, we plan to have some features of each book available for subscription only (e.g., solutions to exercises, some multimedia content, etc.). Again, the subscription fees will be split 50/50 with the authors. 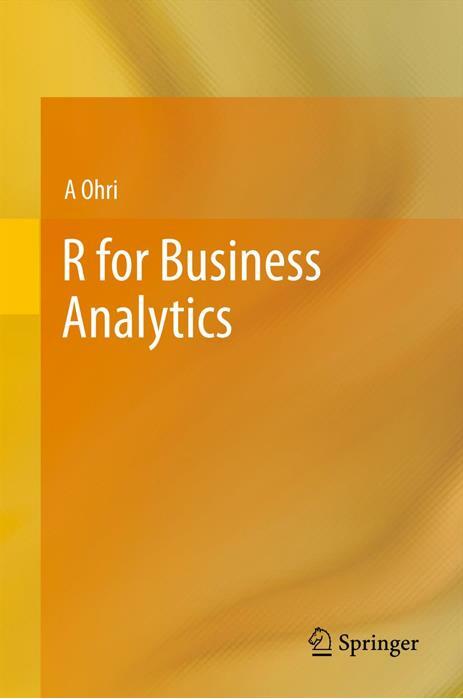 Ajay- Suppose a person who used to use forecasting software from another company decides to switch to R. How easy and lucid do you think the current documentation on R website for business analytics practitioners such as these – in the corporate world. Rob- The documentation on the R website is not very good for newcomers, but there are a lot of other R resources now available. One of the best introductions is Matloff’s “The Art of R Programming”. Provided someone has done some programming before (e.g., VBA, python or java), learning R is a breeze. The people who have trouble are those who have only ever used menu interfaces such as Excel. Then they are not only learning R, but learning to think about computing in a different way from what they are used to, and that can be tricky. However, it is well worth it. Once you know how to code, you can do so much more. I wish some basic programming was part of every business and statistics degree. 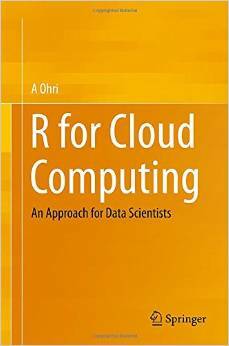 If you are working in a particular area, then it is often best to find a book that uses R in that discipline. For example, if you want to do forecasting, you can use my book (otexts.com/fpp/). Or if you are using R for data visualization, get hold of Hadley Wickham’s ggplot2 book. Ajay- In a long and storied career- What is the best forecast you ever made ? and the worst? Rob- Actually, my best work is not so much in making forecasts as in developing new forecasting methodology. I’m very proud of my forecasting models for electricity demand which are now used for all long-term planning of electricity capacity in Australia (see http://robjhyndman.com/papers/peak-electricity-demand/ for the details). Also, my methods for population forecasting (http://robjhyndman.com/papers/stochastic-population-forecasts/ ) are pretty good (in my opinion!). These methods are now used by some national governments (but not Australia!) for their official population forecasts. Of course, I’ve made some bad forecasts, but usually when I’ve tried to do more than is reasonable given the available data. One of my earliest consulting jobs involved forecasting the sales for a large car manufacturer. They wanted forecasts for the next fifteen years using less than ten years of historical data. I should have refused as it is unreasonable to forecast that far ahead using so little data. But I was young and naive and wanted the work. So I did the forecasts, and they were clearly outside the company’s (reasonable) expectations, and they then refused to pay me. Lesson learned. It’s better to refuse work than do it poorly.
. And now anyone can use the method with the ets() function in the forecast package for R.
Rob J Hyndman is Pro­fessor of Stat­ist­ics in the Depart­ment of Eco­no­met­rics and Busi­ness Stat­ist­ics at Mon­ash Uni­ver­sity and Dir­ector of the Mon­ash Uni­ver­sity Busi­ness & Eco­nomic Fore­cast­ing Unit. He is also Editor-in-Chief of the Inter­na­tional Journal of Fore­cast­ing and a Dir­ector of the Inter­na­tional Insti­tute of Fore­casters. Rob is the author of over 100 research papers in stat­ist­ical sci­ence. In 2007, he received the Moran medal from the Aus­tralian Academy of Sci­ence for his con­tri­bu­tions to stat­ist­ical research, espe­cially in the area of stat­ist­ical fore­cast­ing. For 25 years, Rob has main­tained an act­ive con­sult­ing prac­tice, assist­ing hun­dreds of com­pan­ies and organ­iz­a­tions. His recent con­sult­ing work has involved fore­cast­ing elec­tri­city demand, tour­ism demand, the Aus­tralian gov­ern­ment health budget and case volume at a US call centre. Here is an interview with one of the younger researchers and rock stars of the R Project, John Myles White, co-author of Machine Learning for Hackers. Ajay- What inspired you guys to write Machine Learning for Hackers. What has been the public response to the book. Are you planning to write a second edition or a next book? John-We decided to write Machine Learning for Hackers because there were so many people interested in learning more about Machine Learning who found the standard textbooks a little difficult to understand, either because they lacked the mathematical background expected of readers or because it wasn’t clear how to translate the mathematical definitions in those books into usable programs. Most Machine Learning books are written for audiences who will not only be using Machine Learning techniques in their applied work, but also actively inventing new Machine Learning algorithms. The amount of information needed to do both can be daunting, because, as one friend pointed out, it’s similar to insisting that everyone learn how to build a compiler before they can start to program. For most people, it’s better to let them try out programming and get a taste for it before you teach them about the nuts and bolts of compiler design. If they like programming, they can delve into the details later. We once said that Machine Learning for Hackers is supposed to be a chemistry set for Machine Learning and I still think that’s the right description: it’s meant to get readers excited about Machine Learning and hopefully expose them to enough ideas and tools that they can start to explore on their own more effectively. It’s like a warmup for standard academic books like Bishop’s. The public response to the book has been phenomenal. It’s been amazing to see how many people have bought the book and how many people have told us they found it helpful. Even friends with substantial expertise in statistics have said they’ve found a few nuggets of new information in the book, especially regarding text analysis and social network analysis — topics that Drew and I spend a lot of time thinking about, but are not thoroughly covered in standard statistics and Machine Learning undergraduate curricula. I hope we write a second edition. It was our first book and we learned a ton about how to write at length from the experience. I’m about to announce later this week that I’m writing a second book, which will be a very short eBook for O’Reilly. Stay tuned for details. Ajay- What are the key things that a potential reader can learn from this book? John- We cover most of the nuts and bolts of introductory statistics in our book: summary statistics, regression and classification using linear and logistic regression, PCA and k-Nearest Neighbors. We also cover topics that are less well known, but are as important: density plots vs. histograms, regularization, cross-validation, MDS, social network analysis and SVM’s. I hope a reader walks away from the book having a feel for what different basic algorithms do and why they work for some problems and not others. I also hope we do just a little to shift a future generation of modeling culture towards regularization and cross-validation. Ajay- Describe your journey as a science student up till your Phd. What are you current research interests and what initiatives have you done with them? John-As an undergraduate I studied math and neuroscience. I then took some time off and came back to do a Ph.D. in psychology, focusing on mathematical modeling of both the brain and behavior. There’s a rich tradition of machine learning and statistics in psychology, so I got increasingly interested in ML methods during my years as a grad student. I’m about to finish my Ph.D. this year. My research interests all fall under one heading: decision theory. I want to understand both how people make decisions (which is what psychology teaches us) and how they should make decisions (which is what statistics and ML teach us). My thesis is focused on how people make decisions when there are both short-term and long-term consequences to be considered. For non-psychologists, the classic example is probably the explore-exploit dilemma. I’ve been working to import more of the main ideas from stats and ML into psychology for modeling how real people handle that trade-off. For psychologists, the classic example is the Marshmallow experiment. Most of my research work has focused on the latter: what makes us patient and how can we measure patience? Ajay- How can academia and private sector solve the shortage of trained data scientists (assuming there is one)? John- There’s definitely a shortage of trained data scientists: most companies are finding it difficult to hire someone with the real chops needed to do useful work with Big Data. The skill set required to be useful at a company like Facebook or Twitter is much more advanced than many people realize, so I think it will be some time until there are undergraduates coming out with the right stuff. But there’s huge demand, so I’m sure the market will clear sooner or later. The changes that are required in academia to prepare students for this kind of work are pretty numerous, but the most obvious required change is that quantitative people need to be learning how to program properly, which is rare in academia, even in many CS departments. Writing one-off programs that no one will ever have to reuse and that only work on toy data sets doesn’t prepare you for working with huge amounts of messy data that exhibit shifting patterns. If you need to learn how to program seriously before you can do useful work, you’re not very valuable to companies who need employees that can hit the ground running. The companies that have done best in building up data teams, like LinkedIn, have learned to train people as they come in since the proper training isn’t typically available outside those companies. Of course, on the flipside, the people who do know how to program well need to start learning more about theory and need to start to have a better grasp of basic mathematical models like linear and logistic regressions. Lots of CS students seem not to enjoy their theory classes, but theory really does prepare you for thinking about what you can learn from data. You may not use automata theory if you work at Foursquare, but you will need to be able to reason carefully and analytically. Doing math is just like lifting weights: if you’re not good at it right now, you just need to dig in and get yourself in shape. John Myles White is a Phd Student in Ph.D. student in the Princeton Psychology Department, where he studies human decision-making both theoretically and experimentally. Along with the political scientist Drew Conway, he is the author of a book published by O’Reilly Media entitled “Machine Learning for Hackers”, which is meant to introduce experienced programmers to the machine learning toolkit. He is also working with Mark Hansenon a book for laypeople about exploratory data analysis.John is the lead maintainer for several R packages, including ProjectTemplate and log4r. Just came across this very awesome website. Did you know there were six kinds of wordclouds in R.
About Currently, I’m a postdoc in Rasmus Nielsen’s Lab in the Center for Theoretical Evolutionary Genomics at the University of California, Berkeley. I’m also collaborating with the Biology Scholars Program (BSP) at UC Berkeley, and I am affiliated to the Program on Reproductive Health and the Environment (PRHE) at UC San Francisco. In my (scarce) free time outside the academic world, I often work on collaborative projects for marketing analytics, statistical consulting, and statistical advising in general.